You look outside and see all that poop in your yard- and hope that it doesn’t smell as bad as it looks. Cleaning up the yard is a common chore amongst pup owners. The question is- what do you do with all that poop after you pick it up. 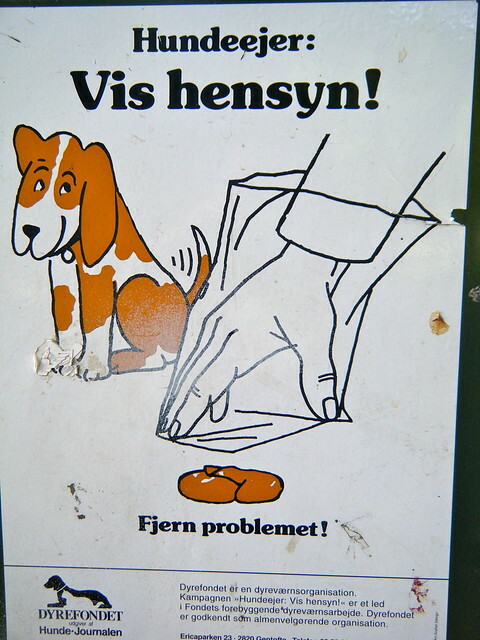 Fortunately, there is more than one way to dispose of your dog’s droppings. You don’t always have to toss your pup’s droppings in the trash can. There is a more eco-friendly way to do things. Some folks recommend that you dig a hole about fifteen centimeters deep and bury your pup’s poop to let it fertilize the ground. It is suggested that you don’t do this near your garden because their droppings may affect your gardens quality. Another eco friendly way to dispose of your pup’s poop would be to start a compost pile in your back yard. This can prove to be a great way to generate fertilizer for future use. Rags and other biodegradable items that you use to clean up puppy messes can also be disposed of here to help keep our Earth a little greener. When collecting your pup’s waste, instead of using a plastic bag or sack, consider old paper bags that are biodegradable. These are becoming a thing of the past, but a small cardboard box could also work as a container. Newspaper itself has many uses. Instead of throwing it away at the end of the day, save some to scoop your pup’s waste in and dispose of it. These options are way more eco friendly than piling your pup’s waste into a plastic trash bag which can prevent it from properly decomposing at a landfill. Even if you have a grass litter box for your pup, you will still need to dispose of your pup’s droppings. If you don’t have a yard to take advantage of recycling your pup’s poop, flushing it down the toilet is the next best option. Sewage systems are designed for safely disposing of waste so you don’t have to worry about intoxicating the environment. It is not safe to dispose of your pup’s waste into a drainage system as these lead to nearby rivers or water outlets. Your pup’s waste will have a negative effect on any marine life. If you like to be eco-friendly, there are many options you can choose from to help do your part to keep the environment clean and still dispose of your pup’s poop.